Bad credit is more than just an inconvenience. It can hold you back, making it difficult to manage your finances effectively and affordably. Without access to lines of credit, handling sudden financial setbacks is much more difficult. Whatever credit you can access is likely to be very expensive, causing you to drown in high interest fees, maintenance fees, and other costs. When you have bad credit, it’s easy to assume you’re out of luck when it comes to acquiring any credit cards. However, in the wake of the financial crisis of 2009, creditors are more willing than ever to work with customers who have less-than-perfect credit. Here’s how a new credit card can help your credit score. To entice new customers, credit card issuers often offer special low- or no-interest introductory periods. If you qualify for an offer like this, it’s a great opportunity to consolidate any other unsecured debt you’re carrying – especially if you hold debt on high-interest credit cards. The catch is that you must be able to pay off the initial balance before the introductory period expires. Otherwise, you’ll be responsible for paying interest. Different credit cards have different terms – and different perks. It pays to have a variety of cards so you can reserve certain cards for certain purposes. For example, one card might generate more rewards points at gas stations while another offers three times the rewards at grocery stores. You can use each card where it offers the biggest reward. With only one or two lines of credit, most of your available credit is concentrated with just one or two financial institutions. This can be risky because prospective lenders can only consult with one or two sources to check your creditworthiness. For example, having only a car loan, mortgage, or other secured loan isn’t enough. Creditors like to see variety, and they expect to see some revolving, unsecured credit; a new credit card is the perfect solution. If you currently owe a lot of debt from high-interest lines of credit, it pays to transfer it to a card with a lower interest rate. Even if the interest rate is just a bit lower, you stand to save considerable amounts of money. Be on the lookout for credit cards that let you transfer existing balances for little or no fee. How much of your available credit you use dramatically impacts your credit score. This is known as total credit utilization, and you should aim to keep it at 30 percent or less. One way to quickly improve it is by opening a new credit card. In doing so, you increase your overall credit limit. If you owed a total of $1,000 and only had $1,500 in available credit, for example, adding a card with a $1,000 limit would improve your overall utilization rate enormously – just make sure not to max out that new card. As helpful as a new credit card can be, getting one when you have bad credit can be difficult. But it doesn’t have to be. 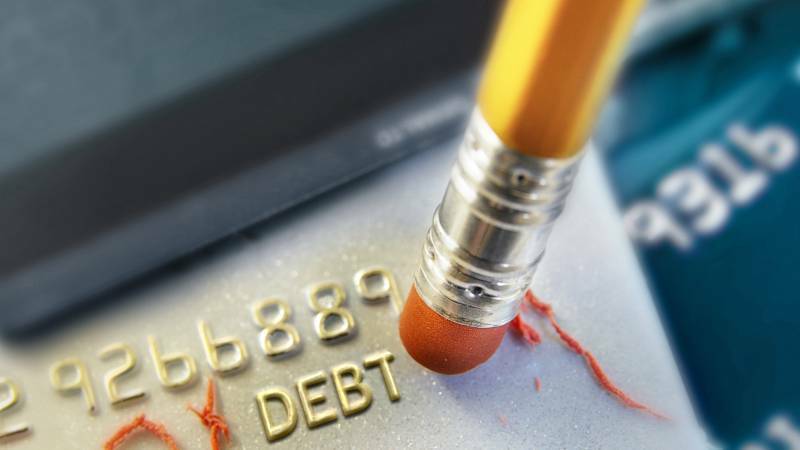 There are options you can explore if your credit isn’t in great shape. A secured credit card is one secured, or backed, by a cash deposit. Your available credit line is equal to the amount of your deposit. In this way, the issuer assumes a lot less risk; if you fail to pay your bill, they can use your deposit. You can carry a balance on a secured credit card, and it will incur interest, but your balance can’t exceed your deposit. There’s no risk of getting in over your head. You typically need a deposit of at least $200 to open a secured credit card, and annual fees usually apply. Improve your credit with one by using it only a few times per month and paying off your balance in full every time. People with bad credit are often steered toward secured credit cards, but they aren’t the only option. There’s a huge market for credit cards designed for people with low, bad, or non-existent credit. To qualify for one, you must pass a credit check. More importantly, you must be willing to absorb the costs that come with using subprime credit, which can be high. Interest rates of 30 percent or more are standard, and you’re also likely to face maintenance fees, processing fees, monthly servicing fees, and other charges. These cards are marketed differently, but they’re very similar to subprime credit cards: they have high interest rates and fees. However, unsecured credit cards are sometimes offered to people who started out with secured credit cards. After establishing a history with a secured credit card, you can graduate to an unsecured one for people with bad credit. Use one of these only until you have improved your credit enough to qualify for better options. If you’re getting turned down for unsecured credit cards, try applying for some retail credit cards. These can usually only be used in specific stores, and they typically have low credit limits. Still, these cards report back to the credit bureaus, so they can help you improve your credit. Retail credit cards typically have high interest rates too, so proceed with caution. As you can see, you aren’t out of luck if you need a credit card but have bad credit. Whatever your credit situation may be, always shop around first. Compare and contrast different cards, including what they offer in terms of rewards programs, qualification requirements, interest rates, introductory offers, and other characteristics, to arrive at a credit card that truly works for you. And you can make this search process easy: you can search online and see all of your options at once, in one simplified place. Instead of fretting over bad credit or spending hours trying to find a solution, open a new credit card. With the right research, you can find a credit card that will help you begin improving your score – and it all starts with a search. Interested in credit card offers for people with bad credit? Start a search today. Want to save more money? Cut out your cable bill. 22 million people have already ditched their cable companies according to Variety.